This English translation of the Greek letter is republished from the official website of the Albanian Orthodox Church, here. All emphases are in the original. In this remarkable letter, whilst showing profound respect and reverence for the office and person of the Ecumenical Patriarch Bartholomew, Archbishop Anastasios of Albania and his Synod present a detailed rebuttal of historical precedents cited by Constantinople to justify their intervention in Ukraine and emphasize the importance of convening a pan Orthodox meeting to heal the divisions that these actions have opened up. On the Ukrainian Ecclesiastical Question. 2nd Reply. After the information (of 26.3.2019) that the Italian translation of the Patriarchal Letter of 9.3.2019 was inserted within the “category of texts of Dogmatic and Symbolic Theology” it was decided to make the related answer of the Orthodox Autocephalous Church of Albania (21.3.2019) public. The first pages of the lengthy discourse (didachi) of the above-mentioned Patriarchal Letter did not refer in the least to the query raised in the first responding Letter of the Orthodox Autocephalous Church of Albania (14.1.2019). For this reason, in the second reply there was not any reference to these pages. This particular text gives the impression of an Encyclical directed towards many recipients; and already has created related discussions. Your Holiness Most Divine Archbishop of Constantinople, New Rome, and Ecumenical Patriarch, Most Beloved and Dearest Brother in Christ God and Co-celebrant of our Humbleness in Christ our God, Bartholomew, kissing Your Most Divine All-Holiness we address You in a most amiable manner. Having awaited with great anticipation the reply of Your Venerable Prominence, on the question of overcoming the concerns of the Orthodox Autocephalous Church of Albania, regarding the Primate of the new Orthodox Autocephalous Church of Ukraine, we received the Letter of Your Prominence dated 20th of February 2019 and in the session of our Holy Synod of the 7th of March of this year we studied carefully its content. Due to the critical importance of the subject we are obliged to offer, always in sincere respect, certain explanations and assertations. 1. Our Letter of the 14th January of the present year did not express any doubt as to the right and responsibility of the Ecumenical Patriarchate to grant Autocephaly, whenever this is called for by the circumstances. Our questions mainly refer to procedure and especially to an ecclesiological question of utmost importance for Orthodoxy. The contents of the first pages of Your Letter of reply obviously do not refer to our query. For this reason, we shall not refer to them here. We restrict ourselves simply – far removed from any influence of arguments of other Autocephalous Churches – to focus on just three questions directly related to the holy spiritual tradition and conscience of the Orthodox Church: a) The Holy Eucharist b) Apostolic Succession c) Conciliarity. Our worry was focused particularly on the crucial subject of the ordination of bishops, of Apostolic Succession. It was on account of this, that the cunning role of the self-proclaimed “Supreme Honorary Patriarch of Kiev and All Rus-Ukraine” Filaret was underscored and theological reservations were articulated as to the holy spiritual validity of the ordinations that he has performed, considering that divine Grace does not act when the celebrant of the Sacrament is defrocked, has been aphorised or anathematised; and that a Bishop celebrating canonically is not acting by his own power, but in the name of the Church, the only agent of the Grace of God. We wonder, whether the restoration of Mr. Filaret to canonical order renders the ordinations which he performed automatically valid. 2. The correlation and analogy of the Ukrainian question to the Melitian Schism of the 4th century, which is extensively referred to in Your Letter, has not answered our queries. On the contrary, its careful study leads to different conclusions: According to the Treaty of Metropolitan of Anchialos and later of Smyrni Vassilios of blessed memory, which was sent to us, in the Annex “On the Schism of the Melitians, more extensively” the following are recorded: “The case was corrected through the acceptance of Melitios, on one hand, back only to the bishop’s honor, without the right to celebrate the sacraments and, on the other hand of those ordained by him, while defrocked, as bishops, priests, and deacons, under the same condition and in the same way as it was ordered by the eighth canon on the acceptance of the Katharoi or the Novatians, that is through a simple laying on of hands, with a prayer confirming each to their respective hierarchical ranks”. The last explanatory phrase was omitted in Your Letter. Indeed, in relation to the process of the correction of the Schism, Athanasios the Great clarified: “it was decided… that those who were appointed by him to be restored to communion after being confirmed through a μυστικωτέρᾳ χειροτονίᾳ βεβαιωθέντας mistikotera hierotonia veveothendas (mystical, inaudible ordination),it should additionally be stated that they could have the honor and even participate in the sacraments, on the condition that they were strictly of second rank in relation to everyone else in each community”(1). As mentioned, Metropolitan Vassilios adopted the opinion that they were accepted in communion, by a simple laying on of hands with a prayer. The learned historian, Archbishop of Athens, blessed Chrysostomos Papadopoulos, summarizes: “The Council considered also the matter of Melitios, Bishop of Lycopolis (Can.4). Melitios was allowed to remain in Lycopolis, maintaining the honor of Bishop, but with no right to administer the Diocese of Lycopolis or to ordain. Alexandros of Alexandria demanded from him (Melitios) a “brebion” (list) of the Bishops he had ordained, which numbered 29. The Council, acting in philanthropy, recognized them in their own rank through a new laying on of hands, “μυστικωτέρᾳ χειροτονίᾳ βεβαιωθέντας”, on the condition that they remain second after the canonical bishops, that they come under the Archbishop of Alexandria, and that they do not participate in the process of election of new Bishops. They could be elected to vacated Episcopal seats. Melitios alone could not be elected”(2). Consequently, the correction of the Melitians’ Schism and the reception, by economy, of those invalidly ordained by Melitios went though the following phases: a) repentance, b) laying on of hands by a canonical Bishop – a minimum requirement for the seal of Apostolic Succession, c) prayer and d) finally the achievement of peace. This is a principle applied to all cases of re-induction of schismatics into the Orthodox Church, which defines an interesting outlet to the existing problem. In as much as the case of Mr. Filaret is surprisingly similar to that of Melitios, who returned only “with ψιλῇ (bare) episcopal honor”(3) without any ecclesiastical power or authority, the tolerance displayed to him remains inexplicable. Mr. Filaret was re-inducted into the canonical Church (it is unknown whether he even asked for forgiveness) and his previous in-substantial ecclesiastical acts were validated in their totality only through a Synodical Act. He publicly boasts, repeatedly, that “He was, is, and will remain the Patriarch of Kiev and All Rus Ukraine” and continues to wear the particular Russian Patriarchal Koukoulion, behaving as if he were a Patriarch. He remained the chief orchestrator of the “Uniting Synod” that was convened to elect the invalidly “ordained” by him Mr. Epiphanius, he is today a permanent member of the Synod and he proclaims that he is the Prelate of all the parishes of Kiev. These facts are evidently not unknown nor without ecclesiastical importance. In conclusion, it is beyond doubt that the Melitian Schism was not healed by a decision of the Patriarchate of Alexandria, in the jurisdiction of which Melitios belonged, but by a decision of the 1st Ecumenical Council. 3. On the other hand,the case of the Ukrainian question has no analogy to the case of ROCOR (Russian Orthodox Church Outside Russia). The latter refers to the severance of the Russians in Diaspora from the Church of Russia, which was then under Soviet supervision. No aphorisms or anathemas existed and apostolic succession was not in doubt. When the atheist regime collapsed, reunification occurred. It is worth noting that the correction of the fracture was achieved through a special church service and prayer of reintegration in the Cathedral of Christ the Savior. As for the Bulgarian Schism, no relation or analogy to the Ukrainian question is identified. The latter is an internal rift of a local Church, while the Bulgarian Schism referred to the long-term withdrawal of an entire nation from the Ecumenical Patriarchate and all Orthodoxy. Its correction started in the context of the Panorthodox Committee, which was convened for the preparation of the Panorthodox pre-Council in the Monastery of Vatopedion (June 1930). A basic condition, which was laid down and finally observed, was the application for forgiveness by the Church of Bulgaria. Finally, after lengthy and complicated negotiations, the Schism was resolved in 1945, with the result of the subsequent attainment of peace in the Panorthodox oikoumene. 4. We undoubtedly sympathize with the care of the Ecumenical Patriarchate, to grant a possibility for the faithful in Ukraine, who are victims of a long internal division, to return to the bosom of the One, Holy, Catholic, and Apostolic Church. However, it is obvious that the sought-after peace has not been attained in as much as ninety Bishops and over twelve thousand parishes are not in communion with the Ecumenical Patriarchate. At the same time, the risk of a dissolution of the Orthodox Church throughout the oikoumene is visible. Regarding the particularly reproachful tone of this specific Letter and the allegations that we were influenced by other Churches, we are obliged to recall that for decades now, we have proven our brotherly devotion through acts, particularly during the Synaxes of the Primates and in the Holy and Great Council of the Orthodox Church in Crete, acting always in coordination with the current initiatives of Your Most Divine All-Holiness. At times, we articulated boldly our views, even clashing with dear brethren of other Churches. 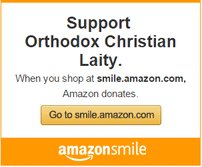 This was always in service of the cohesion and the proper witness of Orthodoxy. A recent evidence of this uninfluenced opinion and independent position is the letters we sent directed to His Beatitude Patriarch of Moscow and All Russia, Kirill (10 October and 7 November, 2018). For the last three decades, we have continuously expressed and acted with the deepest reverence and an upwelling of thankfulness to the Ecumenical Throne, for the actions in favor of the Orthodox Autocephalous Church of Albania. However, we are convinced that genuine gratitude does not imply the abolishment of critical theological thought and ecclesiastical experience, or a rejection of the freedom of conscience. On the contrary, it means an increased obligation to articulate assessments, always with lucidity and loving boldness. The reciprocation of honor was given through deeds. We accepted a mission of innumerable difficulties in Albania, leaving behind two particularly beloved fields of diakonia: Africa and research in the Science of Religions. The exceptionally demanding and uncertain mission, which was entrusted to us by the Mother – the Great Church of Christ, for the reconstruction from the ruins of the fully disintegrated Autocephalous Church of Albania, was accomplished, by the grace of God, in a sacrificial phronema, in deprivations, in illnesses, in dangers and persecutions. As to the Ukrainian question, the choice of false wisdom would be safer, so as to avoid the sharp comments, the insulting personal, unsubstantiable accusations by irresponsible persons. However, we believe that the Primus of Orthodoxy loves and needs the encompassing truth, especially at times of most crucial Panorthodox problems. Because of this, we brought this up marking the historic correctness of events. 5. Our agony, Your All-Holiness, remains for the safeguarding of Orthodox unity, which constitutes an irreplaceable prerequisite for the Orthodox witness throughout the world. Tremors are already apparent in the Synods of Canonical Bishops of the Diaspora and in the inter-Christian multi-party or bilateral dialogues. It is the firm conviction of the Church of Albania, as well as of many others, that at this historical moment, the healing of the painful wounds and particularly of the looming Schism call for a Panorthodox Consultation of some kind, aiming primarily at the spiritual support of all the Orthodox faithful in the Ukraine and above all at the safeguarding of Orthodox cohesion. And clearly we are ready to contribute in a constructive way in this arduous crucial effort. The different existing perceptions cannot be confronted through extended monologues, statements, correspondence, the intervention of irresponsible persons, deceptive comments, or incoherent posts on social media. Crises are overcome, according to the Orthodox Tradition, through “Conciliarity”, which means the gathering together for mutual consultation in prayer of the responsible representatives of the local Orthodox Churches. 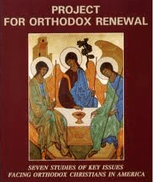 Then, through the energy of the Grace of the Holy Spirit, this Synod can, abiding in philanthropy, research original solutions of clemency, forgiveness, and reconciliation and can make bold decisions, commonly acceptable, aiming at the attainment of peace, unity, and spiritual edification of the Orthodox faithful throughout the Oikoumene. And the privilege of convening a Panorthodox Consultation undoubtedly belongs to the Ecumenical Patriarch. Through this entreaty our reference to the Ukrainian question concludes. However, in order to avoid any possible misinterpretation, we clarify that in the case of a tragic outcome to Schism (May God not allow it! ), the Orthodox Autocephalous Church of Albania will remain with the Ecumenical Patriarchate firmly speaking the truth in love. Going through the moving period of Holy and Great Lent, we pray wholeheartedly, that the Triune God grant unshakable health and holy-spiritual strength to Your Most Divine All-Holiness, repeating the beloved, to You and us, apostolic, doxological certitude: “Now to Him who is able to do exceedingly abundantly above all that we ask or think, according to the power that works in us, to Him be glory in the church by Christ Jesus to all generations, forever and ever. Amen” (Eph. 3:20-21). In ending, kissing You in a holy kiss, we remain in all honor and brotherly love in Christ “for whom are all things and by whom are all things” (Heb. 2:10). (2) Chrysostom Papadopouplos Archbishop of Athens and All Greece. History of the Church of Alexandria (62-1934) Editions Pournaras, Thessaloniki 2009. Pp 179-180. (3) “To remain in his own city without any authority, of neither putting forward for office nor ordaining, neither in a small town nor in city … while in the case of Melitios in person, not even these were allowed, due to his ever present disorder and on account of his untidy imprudent opinion, but they decided not to give any power or authority to a man who could again produce the same disorder”. Athanasius Theol., op.cit.